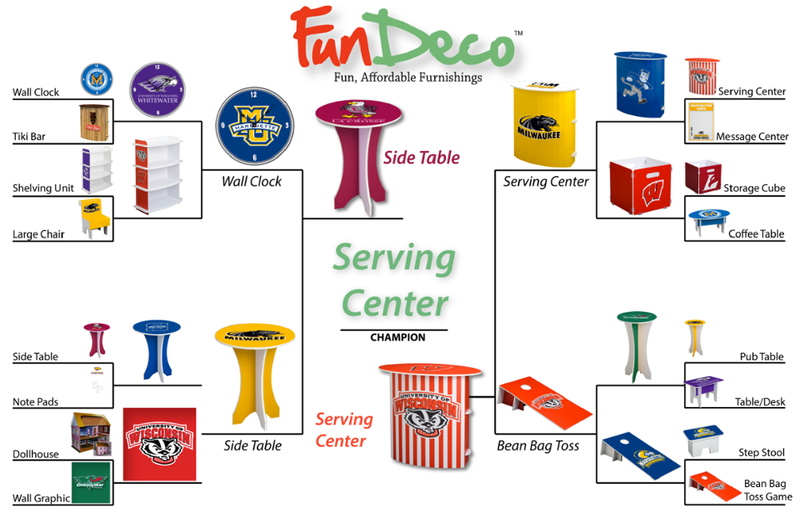 Visit FunDeco on Facebook to vote! Stopped in the Marquette Spirit Shop lately? How about the Phoenix Bookstore on the UW-Green Bay campus? If you have, you’ve probably noticed one thing in common — FunDeco! The Color Ink subsidiary currently has product in both campus bookstores with many more on deck. 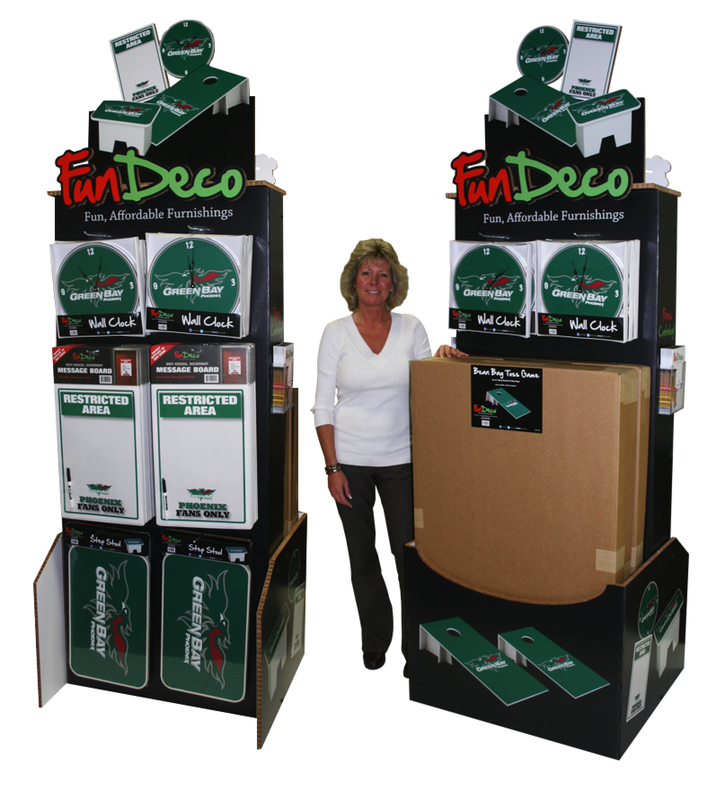 The FunDeco kiosk located in the Phoenix Bookstore on the University of Wisconsin-Green Bay campus. This kiosk, located in the Marquette Spirit Shop, offers wall clocks, dry-erase message centers, step stools, and bean bag toss games. 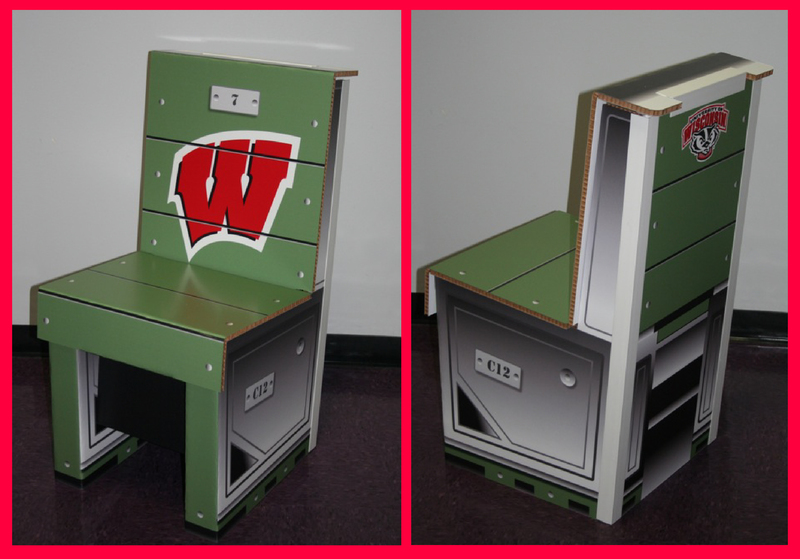 In addition, the side panels hold full-line brochures allowing students to purchase larger furniture items online. Interested in something similar? Like what you see but have a couple tweaks in mind? Let us know! With a purchase order of $500 or more, you receive either free shipping or a complimentary kiosk for your store! For more information please contact Todd Meissner (todd@colorink.com) or Clinton Dybul (clinton.dybul@colorink.com). As stated above, we’ve got many, MANY more schools to come! Alongside our eye-catching Children’s Dollhouse stands yet another great FunDeco product tailored for little ones – the Children’s Lemonade Stand. 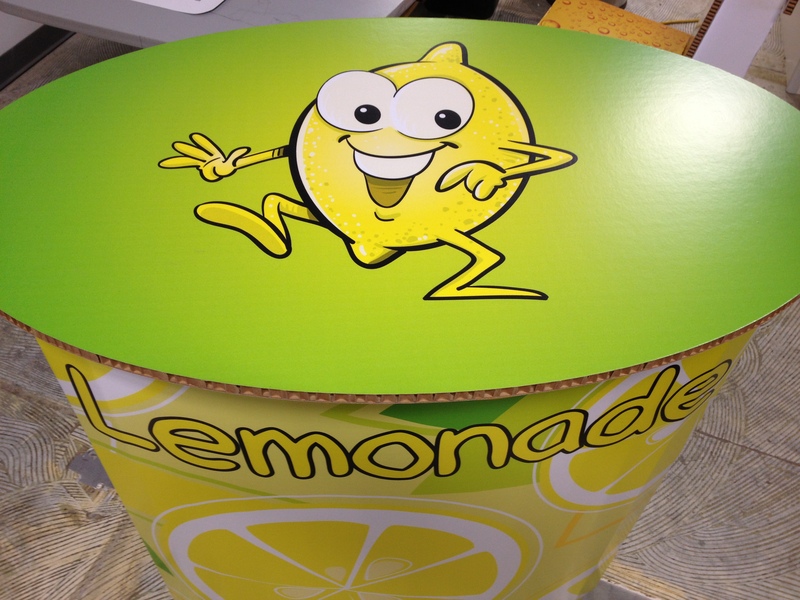 At 80% the size of our standard Serving Center (32.75″ wide x 20″ deep x 33″ tall), the Lemonade Stand is ideal for any child. It’s constructed of extremely durable honeycomb board in order to withstand the wear and tear of everyday play. Remember – assembly requires zero tools and can be completed in just minutes! With its vibrant colors and fun designs, the Lemonade Stand is what you secretly wish you had growing up! And just what exactly can one expect to pay for such a Lemonade Stand? Well, it’s only $45! Be sure to check out our entire line of children’s items, FunDeco Kidz!